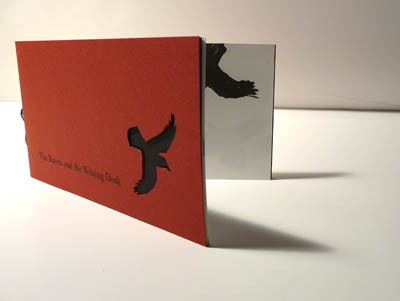 The Raven and the Writing Desk: haiku variations, contains 14 haiku, accompanied by ink-wash drawings of ravens. 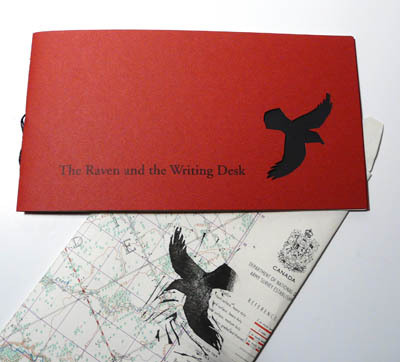 An homage to and celebration of the raven, it reflects our shared conviction that ravens and other living creatures are always more than we humans think them, always shrugging away from our ideas of them, always astonishing us by exceeding or defying what we know of them. Since a good poem or artwork similarly resists containment and complete understanding, the chapbook witnesses as well to the unstable, unpredictable, and frequently joyous experiences of writing and art-making.